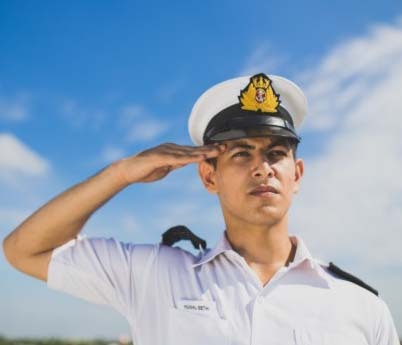 ATLAS batch passed cadets can collect their statement of marks for Semester- II and Diploma certificate, from Pre Sea Campus, Chattarpur on any working day between 1000 hrs. and 1600 hrs. 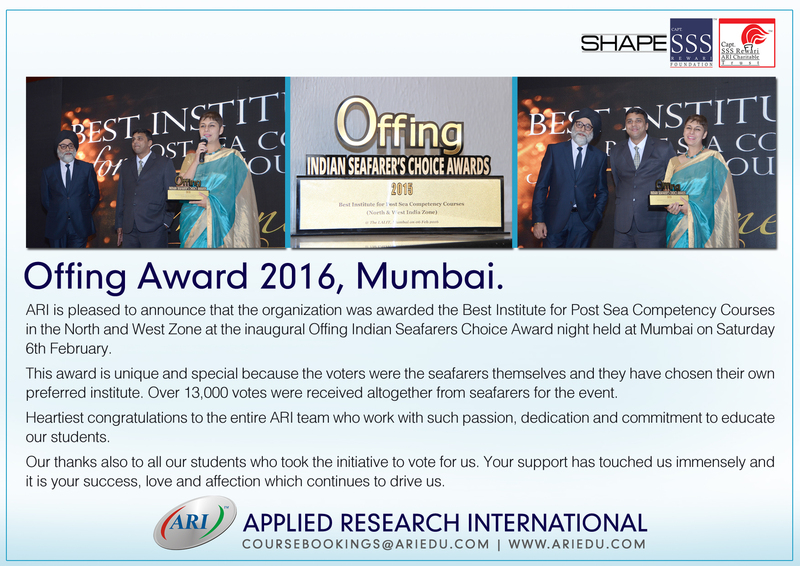 For the first time in India, ARI launches Train the Simulator Trainer Course certified by DNV-GL and based on IMO Model Course 6.10. Contact ARI for more details. The ARI family recently celebrated Founder’s Day on 14th February with an afternoon of glamour. A fashion and cultural show saw members of the ARI team and cadets sway down the ramp as the audience cheered on enthusiastically. One of the key days of the year at ARI, the event was filled with fun, laughter and a spirit of sharing. All passed cadets of Aug’15 and Feb’16 batches can collect their CDC‘s from Admin. Office, from 06/03/17 onwards, between 1000 hrs to 1600 hrs. Revaluation open till 01/09/16.Check IMU website for details of revaluation and formalities for filling up revaluation form. Fee challan also available on IMU site. Menkar batch passed cadets can collect their CDC’s on any working day between 1000 to 1600 hrs. from Chattarpur Presea admin office. Please confirm about your CDC’s availability, prior coming to office. Second Convocation of IMU re-scheduled – Intimation – Reg. At the recent “SME Business Excellence Awards 2014”, jointly launched by The Times Group, Federal Bank and Dun & Bradstreet, ARI Simulation was honoured as the Award Winner in the IT & ITES for excellence in the sector. The awards programme was conceptualized under the theme “It’s Time to let the World Know”. The awards event was held at a grand ceremony on Monday, 24th November in New Delhi. 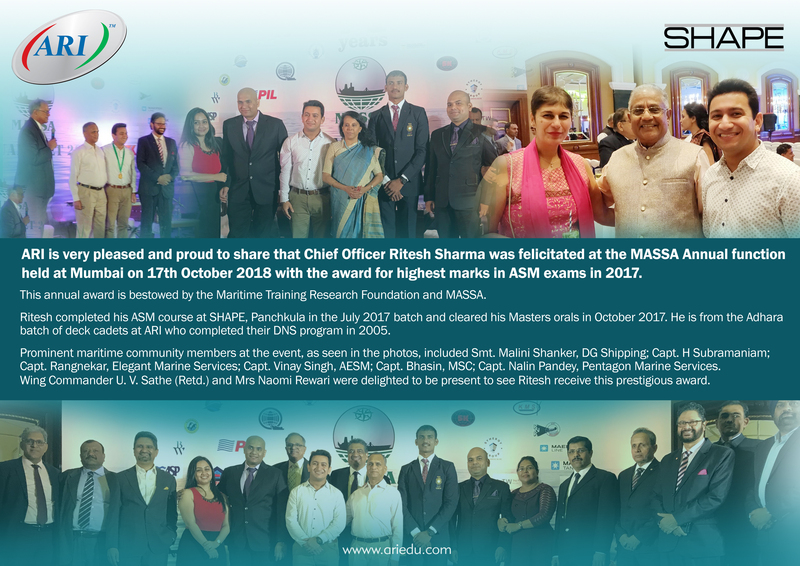 On 8th October 2014, MOL Synergy inaugurated one of India’s largest Maritime Training Centres in Chennai, India. The training centre is equipped with a complete range of maritime simulators from ARI including Full Mission Navigation, Engine Room Operations, Cargo Handling simulators amongst others. Lowell J Mortimer Maritime Academy in the Bahamas acquired a full range of maritime simulation solutions from ARI. Campbell Shipping launched the LJM Maritime Academy in September 2013 as a non-profit initiative, with the funding coming from its group of companies. The Simulation Complex was commissioned by ARI in September 2014. On 12th December 2014 Filipino seafarers were welcomed into V.Ships Manila's new home in Aseana City. ARI is proud to have delivered a complete suite of maritime simulation solutions to this V.Group Training Centre that will be used for training of POMI seafarers (Pacific Ocean Manning, Inc.) amongst others. ARI installed a Full Mission Engine Room Simulator at the Mokpo National Maritime University (MMU), S. Korea in the second half of 2014. The installation also includes forty additional Trainee Stations that can operate as an independent cluster (in the ‘Classroom Mode’) or in a fully ‘Integrated Mode’ in combination with the Full Mission installation. Three Main Engine model databases are included in the system. ARI installed full mission engine room simulators at FIDENA Training Centres at Veracruz, Tampico and Mazatlan in Mexico. Each installation is provided with databases of six engine / vessel models including an offshore vessel engine model. Naval FAC Engine Room Simulator was custom developed and installed by ARI for the Indian Navy at the INS Shivaji Naval Training Centre at Lonavala, India. Latest Approvals in EDU & Simulation: ARI is glad to announce the commencement of an additional batch of Second Mate (FG) Function course starting on 15th Feb, 15th June and 15th October every year.